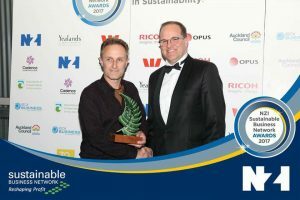 Bob Burnett has won the Sustainability Superstar Award at the 2017 NZI Sustainable Business Network Awards held in Auckland on 30 November. 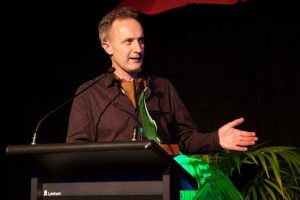 The NZI Sustainable Business Network Awards are New Zealand’s longest-standing sustainability awards. Now in their 15th year, they recognise and celebrate success in sustainability. The Sustainability Superstar Award, sponsored by Westpac, celebrates a person who inspires and leads others to make a difference. It is presented to someone who has gone above and beyond to bring about sustainability change, either within their organisation or in the wider community. 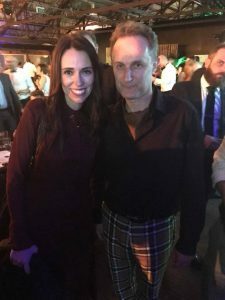 Bob Burnett has urged the Government to make the NZ housing build target closer to the standard of houses in Europe, Japan and North America. Currently NZ has no targets for sustainability but other countries do. Eg. France 2020 ‘net zero energy’ Japan 2020 for commercial buildings and 2030 for homes etc. “Building houses for New Zealander’s is a priority, but building to the low standards in the current building code is not going to work. Houses that are built to the standards similar to overseas nations are warmer, safer and healthier and needn’t cost much if anything more than current houses IF we adopt modern construction standards for the get go”, said Bob Burnett. Participants and guests welcome, invite industry professionals and clients too. (opposite Kiwi Bank branch. Downtown Auckland by Britomart train station. Delegates should make their way up the stairs to level 3 (top floor – lift doesn’t work). On level 3 head to end of corridor. Meeting located in the SBN (Sustainable Business Network) office. SBN carved into timber. 10 homestar Guided Tour first Saturday of the month at 11am sharp at 11 Church Square, Addington. Alternatively you could book a personal consultation another time with Bob via www.bbarc.com. Seven of Christchurch’s most innovative and sustainable homes will be opened to the public in May to encourage others to build smarter. The free Exemplar Homes Tour will allow people to see inside a selection of homes built to showcase sustainable and affordable design. People will be able to step inside homes that are among the greenest in New Zealand, homes that have no power bills, homes that collect rainwater, and homes that use solar energy to power their car. At each home people will be able to speak to the designer or builder and learn more about its special features. The tour, which allows people to visit the homes in any order they want at any time between 11am and 4pm each weekend in May, has been organised by the Superhome Movement in partnership with Christchurch City Council. “We want people to experience these homes for themselves, see the technology at work and help them to understand that it is possible to build better quality homes at little or no additional cost,” said Christchurch City Council Sustainability Principal Advisor Tony Moore. “If people are thinking about building new homes we want them to be making informed choices and building healthy, sustainable homes. Hopefully a visit to these seven exemplar homes will help inspire them,” Mr Moore said. Details of the seven homes that are part of the tour and a map showing their location can be found here. 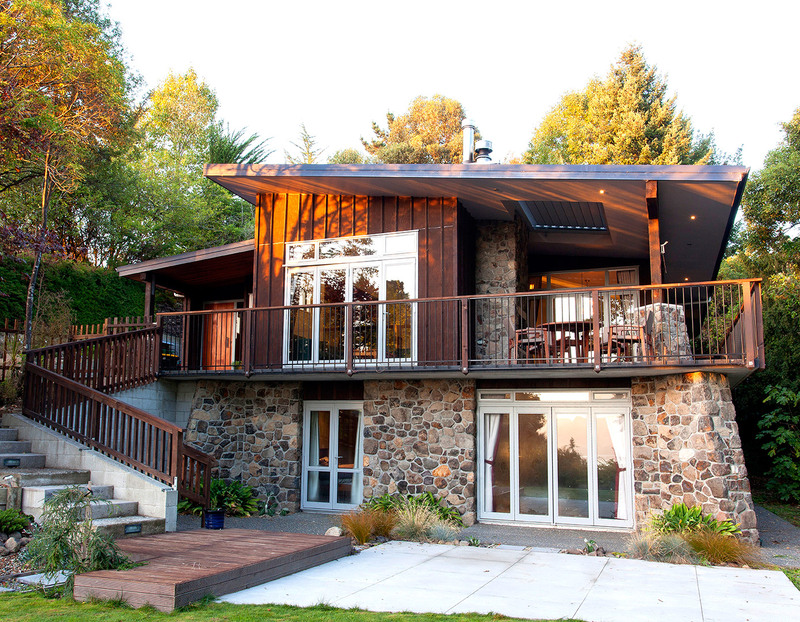 Since its inception Bob Burnett Architecture has established a reputation for award-winning, high performance hill homes and environmental design. Bob’s own epic home on the Port Hills was a testing bed for innovative sustainability and design ideas that were subsequently incorporated in future designs. Most designs are a fusion of ideas from the two directors Bob Burnett and Shizuka Yasui which express influence from both Japanese and New Zealand Architecture. When we consider Japanese architecture, we think tranquillity, harmony, natural materials, efficiency and smart detailing. They are the masters of tight spaces, creating the illusion of spaciousness while working with a compact footprint. The practice’s core philosophies include design for comfort, functionality and delight to provide the best possible living experience; optimizing building performance within the available budget; providing value for money when considering upfront costs, ongoing costs and return investment. It has an affinity for solar and passive house principles and aims to encourage quality over quantity with the belief that if you can master a cleverly designed compact home, then a big budget home is a cinch.#Following the earthquake Bob instigated Quakestar, a rating system for a building’s performance in earthquakes and has also been supportive of Homestar, a 1 to 10 rating tool for energy, health, comfort and environmental attributes. 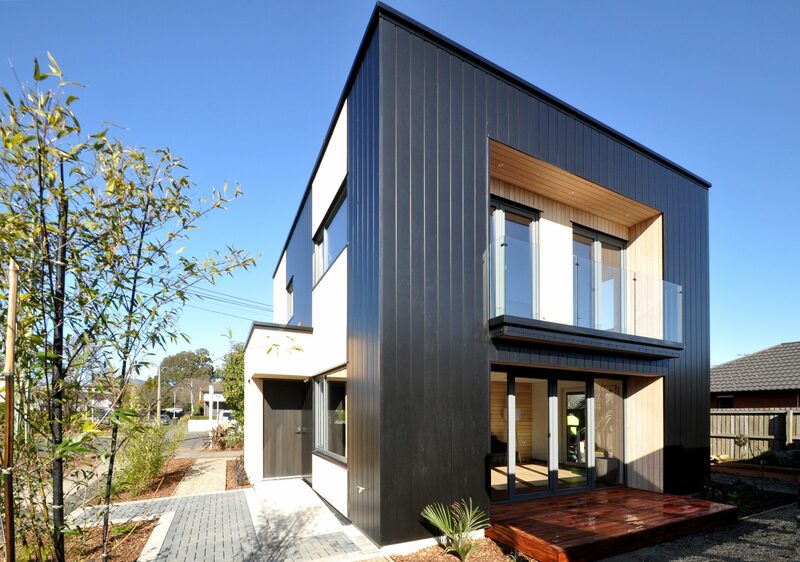 Bob is a recognised industry spokesperson, who has championed better building standards, some of which are demonstrated in the country’s first 10 Homestar home. This modest size house on a small site was designed as a demonstration project for the SUPERHOME movement. The movement’s focus is on providing the open source sharing of innovative design ideas, technologies and building techniques; connecting experts and leaders in the industry with each other and the wider community. Founded by Bob and Martin Reilly, SUPERHOME movement is a not-for-profit industry group creating a paradigm shift for home owners, builders and designers, triggering behavioural change in decision making. At the launch of the SUPERHOME movement and the first 10 Homestar home approximately a year ago, Lianne Dalziel, Mayor of Christchurch, said it was exactly what the Christchurch rebuild needs. The SUPERHOME movement’s activities have led to bigger projects with Bob being engaged as an advisor, then designer, on City Council social housing with several private developers, initiating large multi-unit Eco Village developments with minimum Homestar ratings of 6 and 7 stars. These will be the largest clusters of Homestar 6 and above homes in the country. 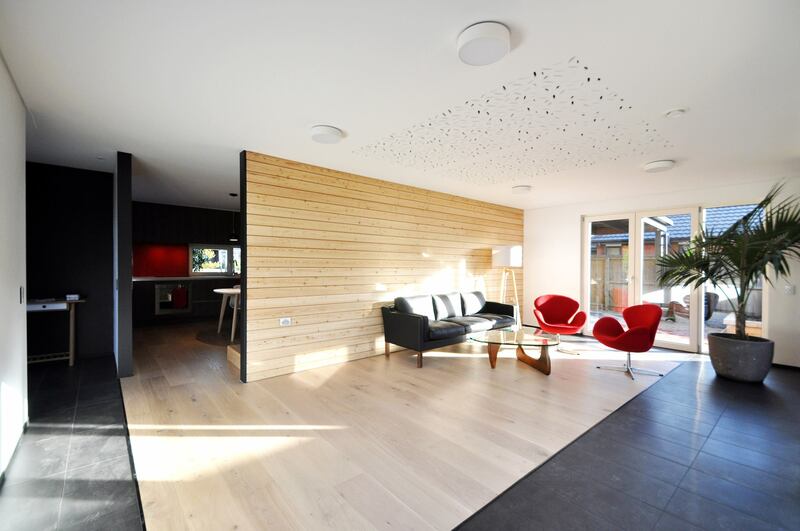 Sponsored by the Christchurch City Council and Build Back Smarter, the Exemplar Homes Tour opened up seven houses by various SUPERHOME movement participant companies for the public to view during the weekends of May. Word of mouth and social media created a ground swell of awareness with approximately 3000 people visiting these Exemplar Homes. The public were able to enjoy and experience these homes first-hand and also be introduced to the techniques required to achieve a warmer, dryer and healthier home. The interest has been phenomenal with 50 companies now participating in Christchurch, while September 2016 saw the successful launch of the movement in Auckland and Wellington. The Exemplar Homes Tour is already geared up for May 2017 in Christchurch with other cities to be confirmed.